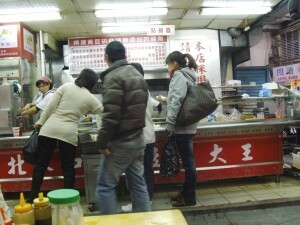 If there’s one thing I love about Taiwan, it’s that the food is cheap and good. Especially breakfast. Now I’m not much of a breakfast person, in fact, my normal breakfast is to chug iced coffee and to run out the door to class, but, yeah, breakfast is worth the waking in Taiwan. 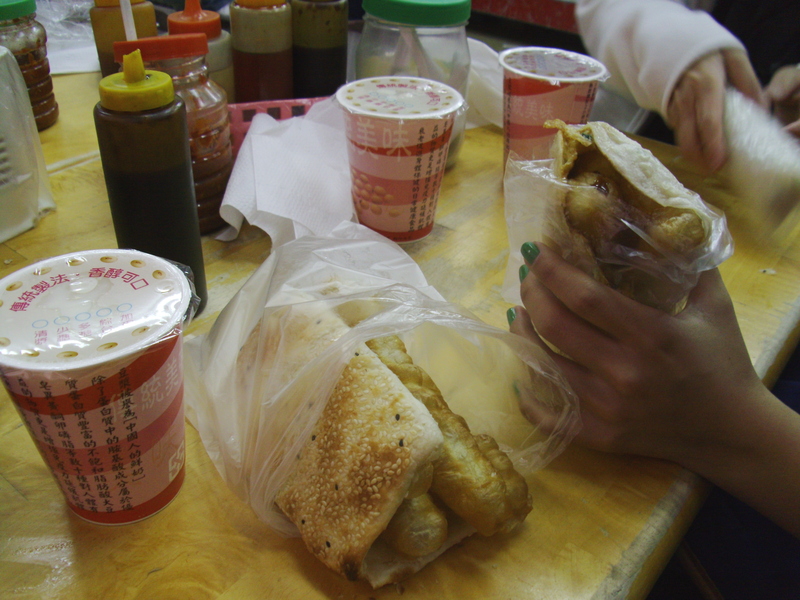 I had Sao Bing You Tiao (燒餅油條), a fried pastry wrapped in more fried pastry and all kinds of delicious, and Dou Jiang (豆漿) (sweetened, I wanted salty, but they didn’t have any left), a kind of soy milk. 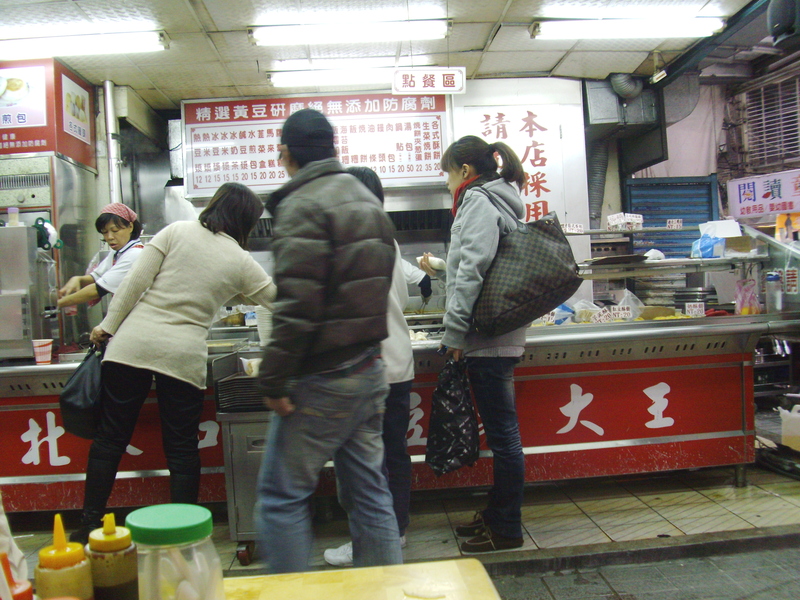 But man, Sao Bing You Tiao is great stuff, it’s all fried, flaky, a bit fluffy, and awesome when it’s fresh and in it’s natural habitat like this. My mom has a Fan Tuan (飯糰), a piece of You Tiao wrapped in sticky rice, and Mi Jiang (米漿), a kind of rice milk. I’ve actually never had Mi Jiang until today, and it’s pretty good. Kind of a smoky, almost crispy flavor to it. Best part? Our breakfast cost less than $4 for all 3 of us.